A couple weeks ago, I was responsible for giving the lesson at our Women’s Circle at church. I decided to give the lesson on prayer. Prayer has become such an important part of my daily life, it seemed natural to talk about it with other women. The following is the lesson…. or to enter into spiritual communion with God, or to communicate with God. 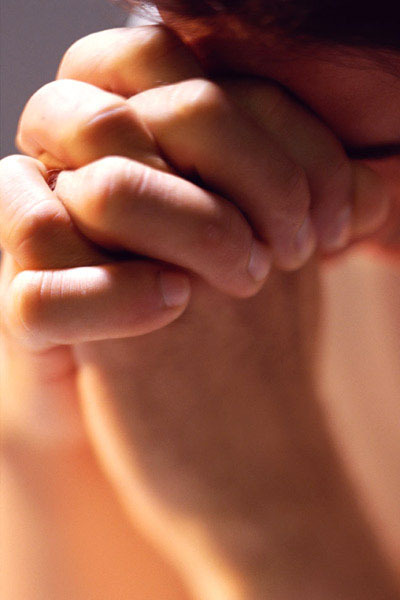 Some form of the word “pray” is used in the Bible at least 500 times. Some of those instances are:Matthew 21:22 If you believe, you will receive whatever you ask for in prayer. 1 Thessalonians 5:16-18 Be joyful always: pray continually; give thanks in all circumstances, for this is God’s will for you in Christ Jesus. James 5:13-16 Is any one of you in trouble? He should pray. Is anyone happy? Let him sing songs of praise. Is anyone of you sick? He should call the elders of the church to pray over him and anoint him with oil in the name of the Lord. And the prayer offered in faith will make the sick person well; the Lord will raise him up. If he has sinned, he will be forgiven. Therefore confess your sins to each other and pray for each other so that you may be healed. The prayer of a righteous man is powerful and effective. Psalm 4:1 Answer me when I call to you, O my righteous God. Give me relief from my distress: be merciful to me and hear my prayer. It was just something said from memory and didn’t really mean much to me at the time. I don’t remember ever really praying with my parents at bedtime or being led to pray together as a family. As I got older I remember praying things like, “Thanks God for getting me out of that mess”, or “God, please don’t let me fail this test”. But, what I didn’t realize until much later in life was that that was only one small part of prayer. Prayer is an actual intimate conversation between God and me. I may be asking Him for something, or I may be sharing my thoughts about the day, or I may be thanking Him for my many blessings, asking Him to be by my side, or sharing my fears with Him. But, prayer isn’t just about me either. Many of my prayers have to do with others. People I know and love, people I know about through someone else, people I have never even met before. While praying together as a family at the dinner table one evening, Reagan even added, “and bless all the people in Haiti.” That certainly warmed my heart to know that already, at age 5, she was thinking of others. Then as my life got busier, it was harder and harder for me to find quiet time to pray. If I waited until bedtime, I would fall asleep mid prayer. If I did it when I woke up I was always interrupted by a child or a husband. Sometimes the only place I had peace and quiet was in the van while driving or…in my bathroom. My bathroom has become a peaceful place for me. I don’t have to share it with anyone as the kids have their own and Pat has his own. The kids have to ask permission to use my bathroom. I have numerous Bible verses posted in my bathroom to remind me of things or to calm me. And, this is where I pray. I don’t think it matters where you are when you are praying as long as you are giving your attention to God. I recently read the book “The Help” by Kathryn Stockett. In this story, Abileen, a Southern black maid in the 60’s starts a prayer journal. She writes her prayers every night as a way to practice her writing skills. Some nights she writes pages and pages of prayers for many people she cares about. This is her conversation with God. This is how she remembers everyone she needs to pray for. Abileen’s prayers were said to go straight to God, so she was often asked to pray for others and her writings could keep her up pretty late. Matthew 7:7-8 and Luke 11:9-10, Ask and it will be given to you; seek and you will find; knock and the door will be opened to you. For everyone who asks receives; he who seeks finds; and to him who knocks, the door will be opened. So, each week, I would write these A.S.K’s in my journal. Then as I did my Bible Study each week I would go through the names to remember who pray for. The other important part of these prayers is that they were specific. Not just to pray for Susie’s mom who is sick, but asking for wisdom for the doctors, strength for the mom, guidance for the family, etc. Then earlier this year, one of the pages of my calendar gave the following idea for prayer. I liked it because it helped me make sure to remember all those extra people I need to be praying for. Thumb: Pray for those closet to you. This was such a simple way to remember all those people I should be praying for without leaving anyone out. I have found how important prayer is to my life. My conversations with God help calm me, remind me of my blessings and my faults and give me a chance to think of others. Some of you may be pros at prayer and have your own system for praying. If so, I’d love for you to share it here. Al Scalpone said it best I think, A family that prays together, stays together. I am grateful that my children are comfortable, already, praying to God and I hope they are seeking his comfort often.